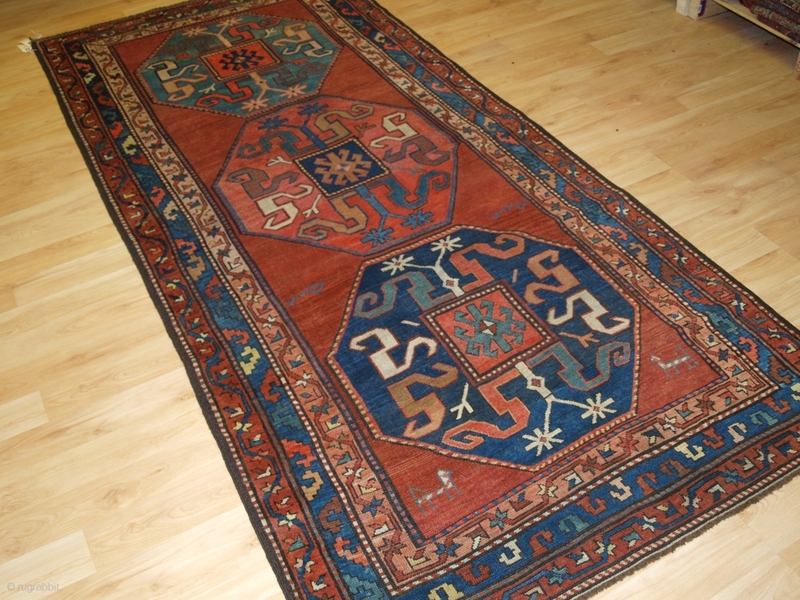 Antique Caucasian Karabagh cloud band Kazak rug. www.knightsantiques.co.uk Size: 8ft 8in x 3ft 11in (263 x 120cm). Circa 1880. 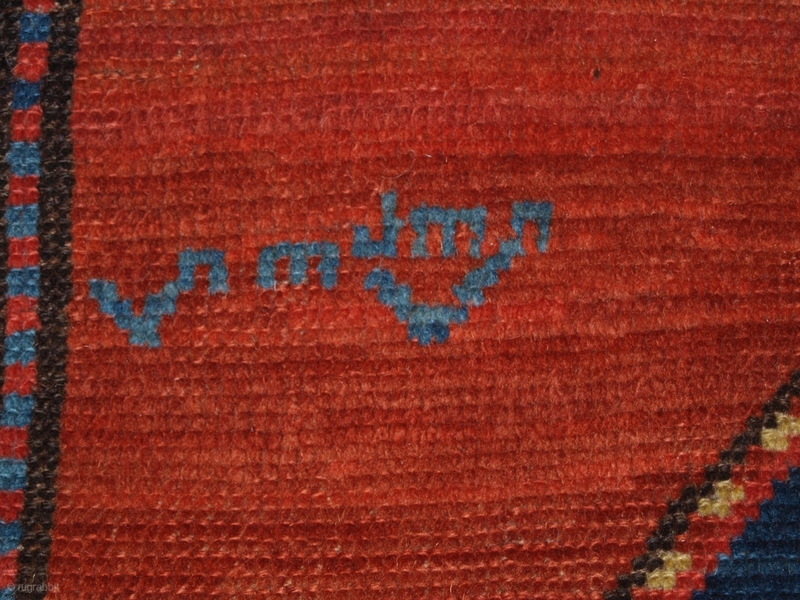 These rugs were woven by Armenian weavers in the Duchy of Khachen in the town of Khondzoresk, they are known as cloud band Kazaks due to the cloud band design within the medallions. 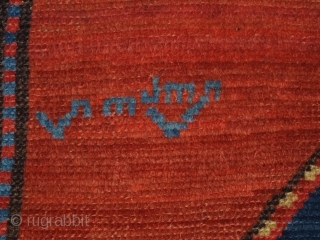 This example has a soft colour palette and a rustic charm, note the small animals at the lower end, there is also an inscription in the middle. The rug is in excellent condition with even wear and medium pile. The rug is suitable for normal domestic use. The rug has been hand washed and is ready for use or display. Stock Number: r-1114.